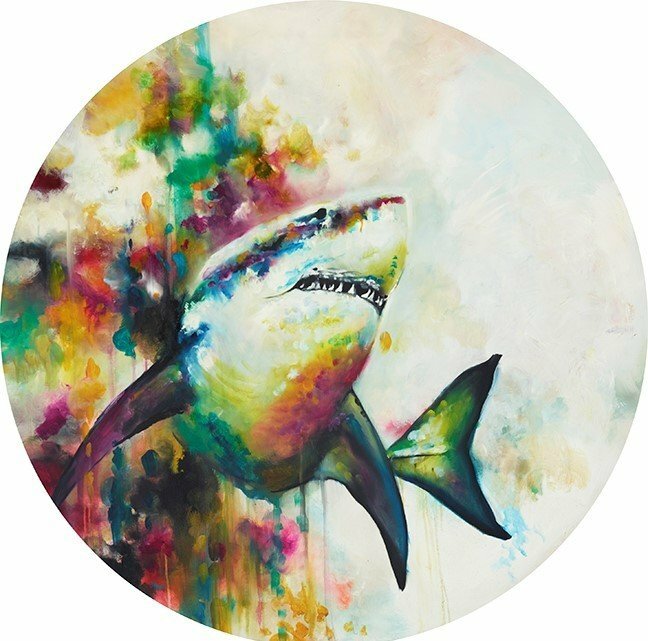 A Great White Shark in a new signed, numbered limited edition from Katy Dobson. Katy’s work is always vibrant, distinctive and colourful. Available in 3 weeks, framed in white. This entry was posted in Katy Dobson and tagged featured by Buy Art Online. Bookmark the permalink.